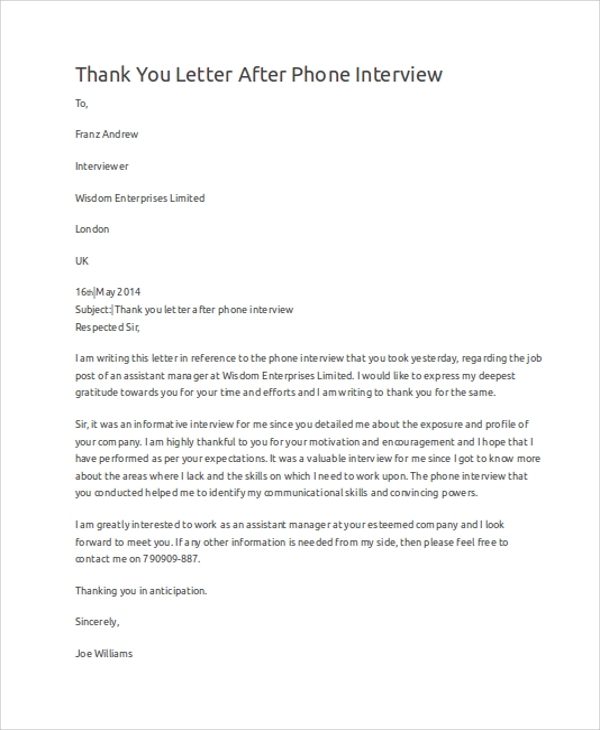 An interview thank you letter is a courtesy after you appear for any interview whether it is on Skype or on a face-to-face basis. 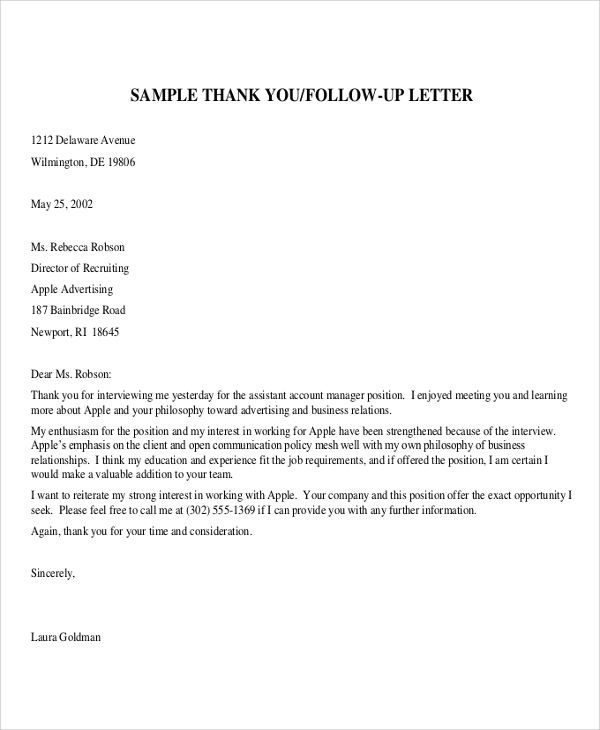 When you send in a thank you letter, it creates an impression upon the employer about your intention to take the job. This letter communicates your genuine appreciation to the employer for giving you the chance for an interview. You can improve upon your mistakes that you might have made during the interview. Here are some Sample letters to help you how to write one yourself. Once you appear for an interview, you should send a letter to the employer stating your gratitude and also reinforce your candidature for the job. 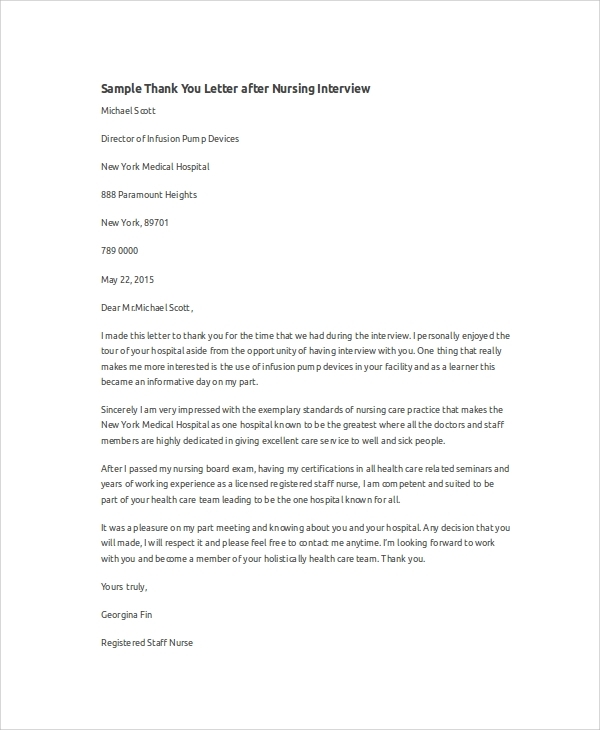 You can search through Sample Thank You Letters after an interview to get the right idea about the language and the format. After getting interviewed by the firm’s faculty, it is your responsibility to send them your thanking regards. 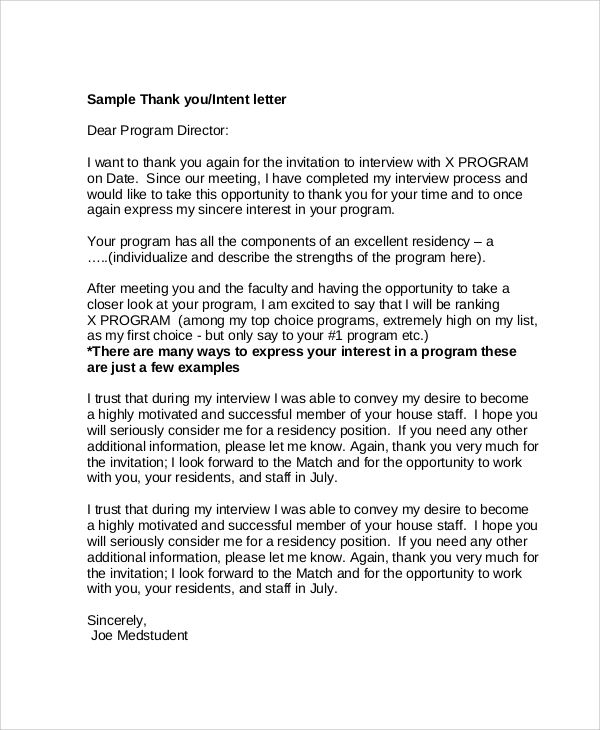 These people are possibly going to be your colleagues, and you should show your positive intent of working with them in this interview thank you letter. 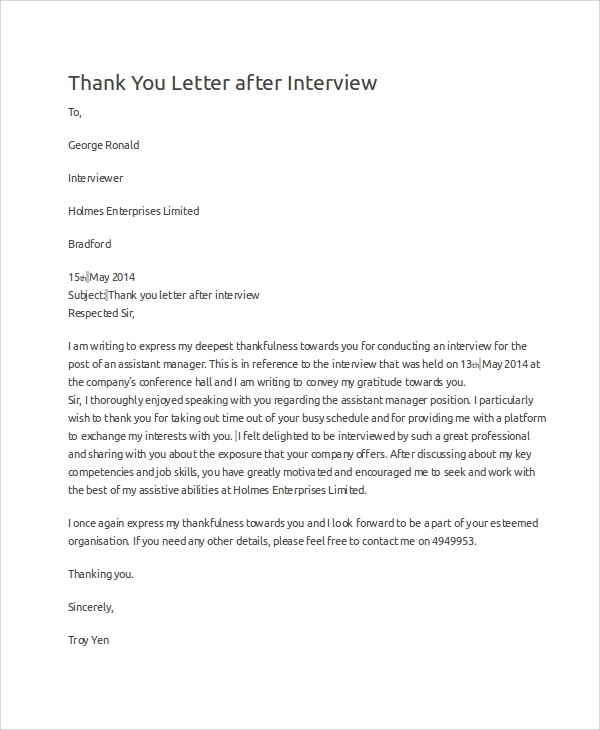 Interview thank you letters after a face to face interview helps you to not only thank the interviewer but also make up for any weaknesses that were made during the dialogue. This letter is written to communicate your enthusiasm for the job. 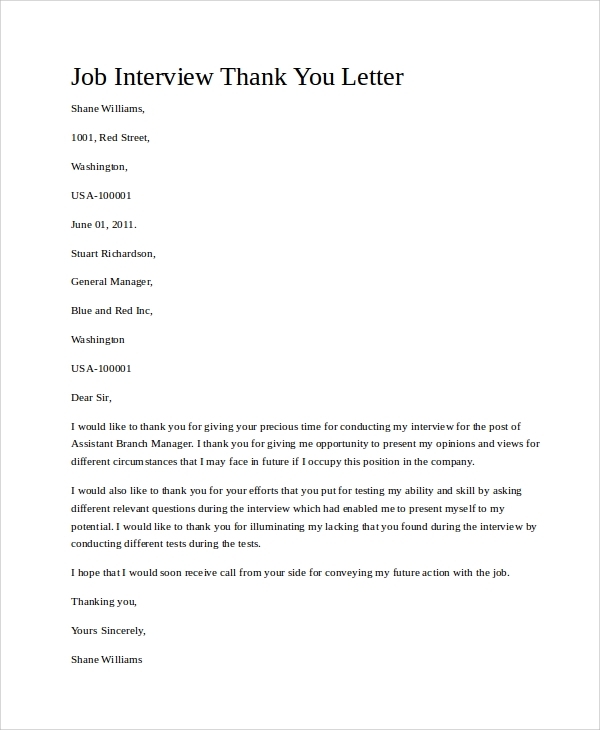 An Interview Thank You Letter is rather obligatory after appearing in a job interview. It can be the vital difference between furthering the selection process and rejection. Employers, these days, expect a thank you letter and it makes a negative impression if they don’t receive one. Therefore, the very first use of interview thanks you letters is to impress the employer. 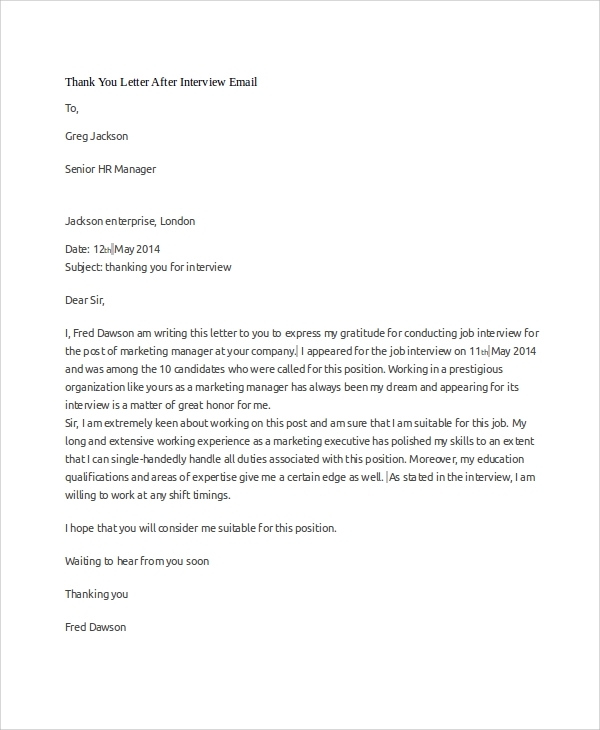 The content of this letter should be written to reinstate your enthusiasm as well as qualification for the coveted job and to thank the employer for providing you an interview chance genuinely. This letter builds upon your strengths and also makes up for your weakness, supporting your candidature overall. An interview with an attorney is special and requires appreciation if you wish the attorney to team up with you. You can write about some impressive points about his/her skills. This letter is to appeal to the attorney for helping you. Sample Thank You Letters After Job Interview are written to highlight on your qualifications for the job and to impress the employer who is expecting this letter. It conveys your keenness to fulfill the duties of the job. What are the Benefits of these Letters? Sample Thank You Letters After Interview have different benefits for both the employer and the candidate. For the candidates, it is a chance to communicate their enthusiasm for the job and the intent of efficiently fulfilling every responsibility associated with it. They can benefit from this letter by thanking the employer in an earnest way and earning brownie points. They can impress the employer and increase their chances of selection. 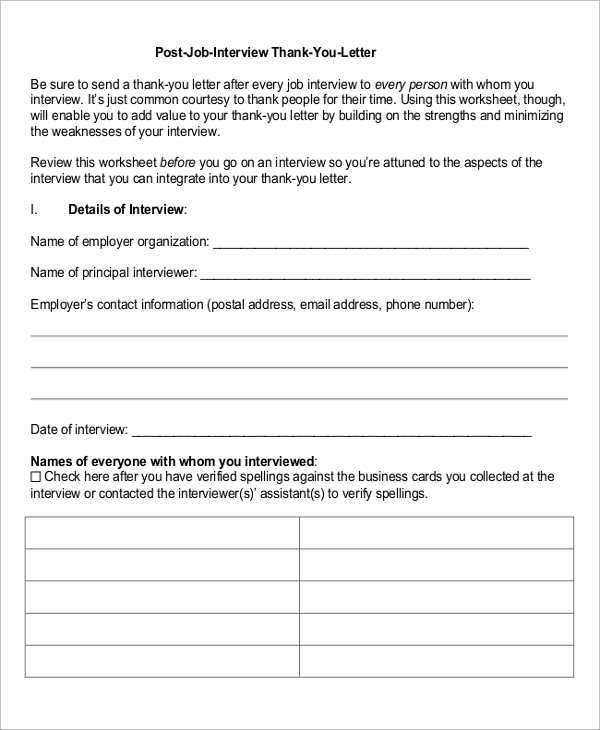 Interview thank you letters also benefit the employer by helping them to choose the ideal candidates. They can differentiate the suitable candidates from the others through these letters. It helps them to select the right one. Post Interview Thank You Letters are more of a necessary as well as a beneficial tradition than a formality. It helps the candidates in a number ways and increases their chances of moving further in the selection process. 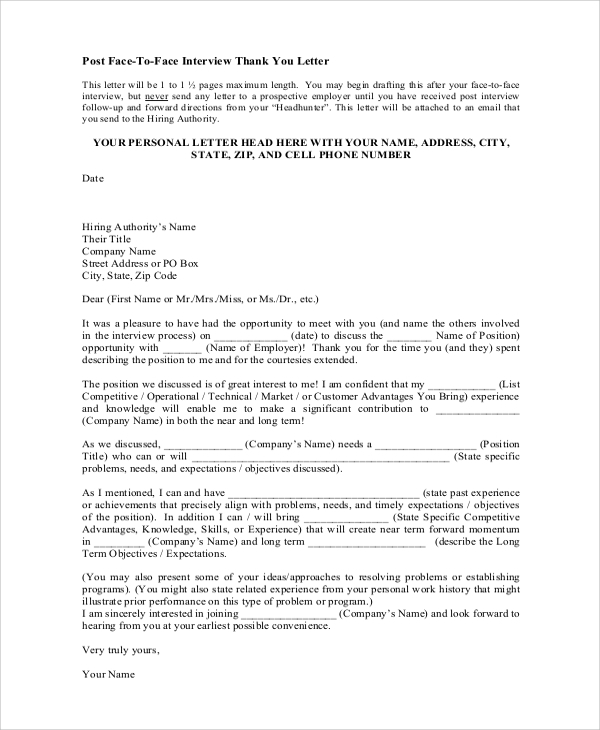 The employers also get aware of the interested candidates and interview thank you letters facilitate in choosing the right pick.